We have our first save the date of 2019 for you. 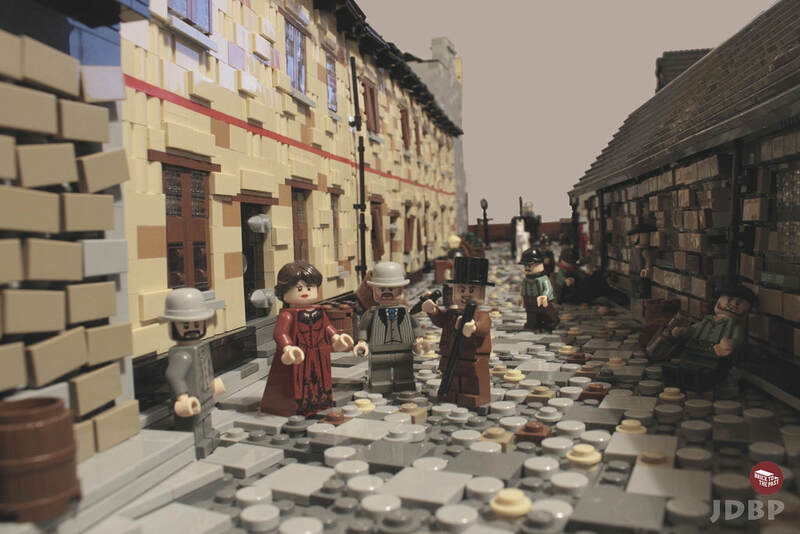 We will be at the Discovery Brick Show at Newcastle upon Tyne’s Discovery Museum on the 11th and 12th of May! 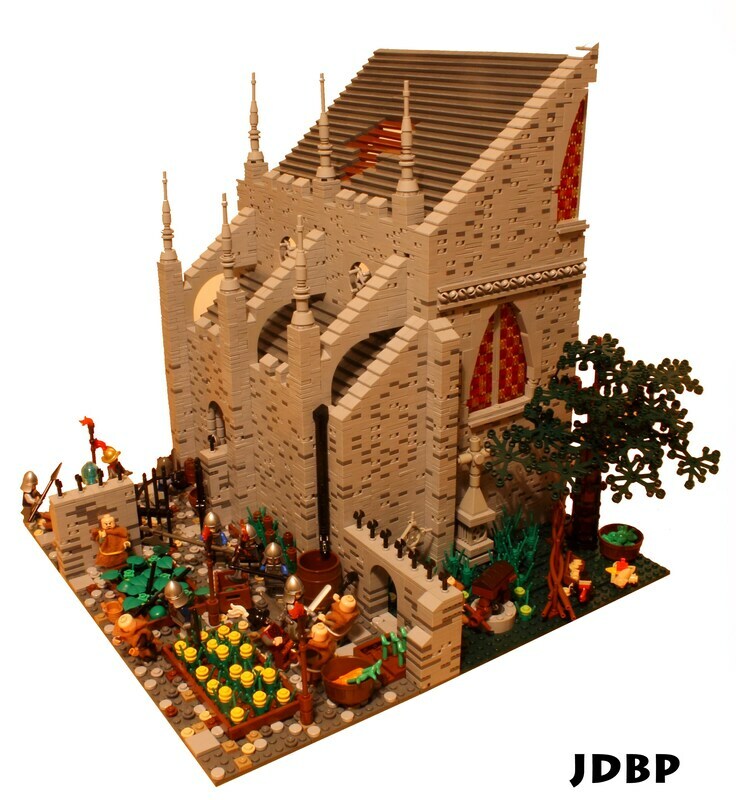 The show boasts some of the newest LEGO models alongside displays from a hand-picked selection of the best LEGO builders in the UK. That’s right, we’re hand picked! 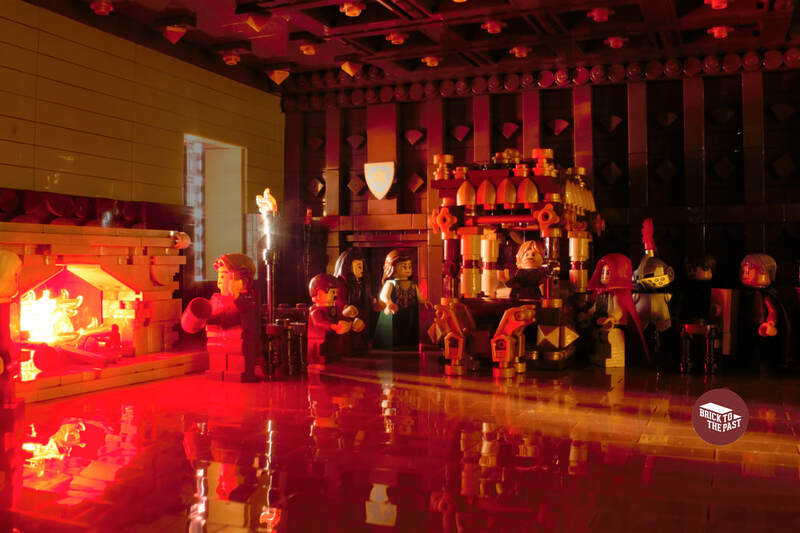 You can also explore a range of specially selected LEGO traders and sellers and take part in a range of LEGO activities. 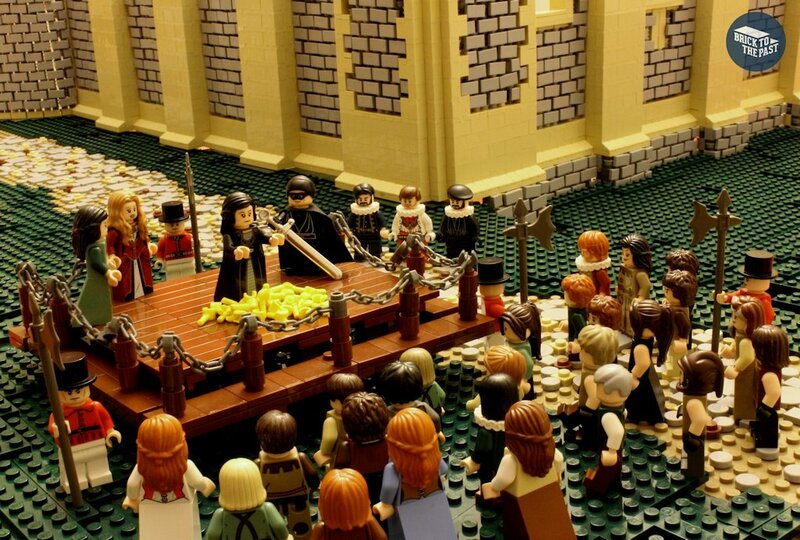 In the unlikely event you don’t like LEGO, you can always just visit the museum itself. Áed mac Cináeda, was a king of the Picts who reigned for around one year between 877 and 878. He was nicknamed Áed of the White Flowers, the wing-footed or the white-foot. Áed was the son of Kenneth MacAlpin (Cináed mac Ailpín), and succeeded his brother Constantine I (Causantín mac Cináeda). According to the national myth, his father was the first King of Scotland, and so Áed is Scotland’s fourth king according to most modern regal lists. The location and manner of Áed's death is uncertain, but according to the Chronicle of the Kings of Alba, he was "slain in the civitas of Nrurim". Little is known about Áed’s short reign, with the Chronicle of the Kings of Alba simply saying “The shortness of his reign has bequeathed nothing memorable to history. He was slain in the civitas of Nrurim.” The whereabouts of Nrurim is unknown, however Andrew of Wyntoun's Orygynale Cronykil of Scotland claims he was killed by one of his successors, Giric, in Strathallan, Perthshire. However, the 19th Century antiquarian George Chalmers believed that that the early-historic mound of the Cunninghillock by Inverurie, Aberdeenshire is the burial place of Áed. This is based on reading Nrurim as Inruriu. Other sources have Áed buried on Iona. Áed was married, although his wife's name is unknown. They had two sons, Constantine, who would later be King of Scotland between 900 and 943 and Donald, who would become king of Strathclyde. 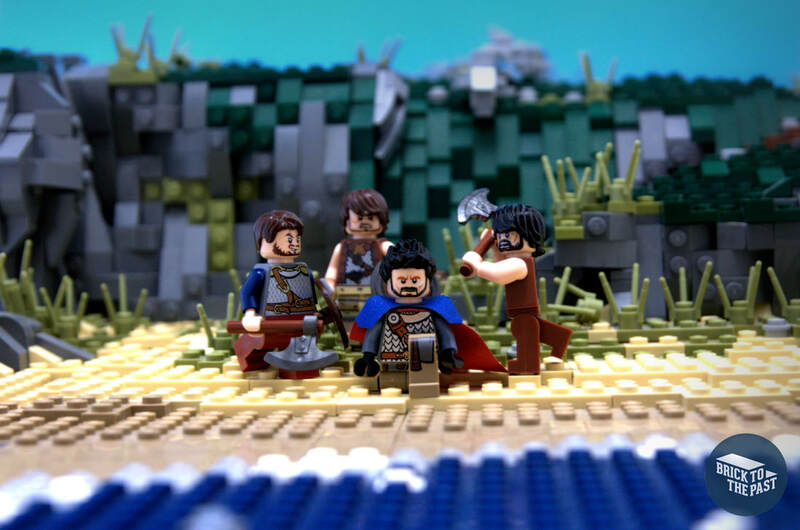 Áed was succeeded by two rulers, his nephew Eochaid and the mysterious Giric, who may have been his murderer. The relationship between these two kings is uncertain and probably complex and will be discussed in a later blogs. 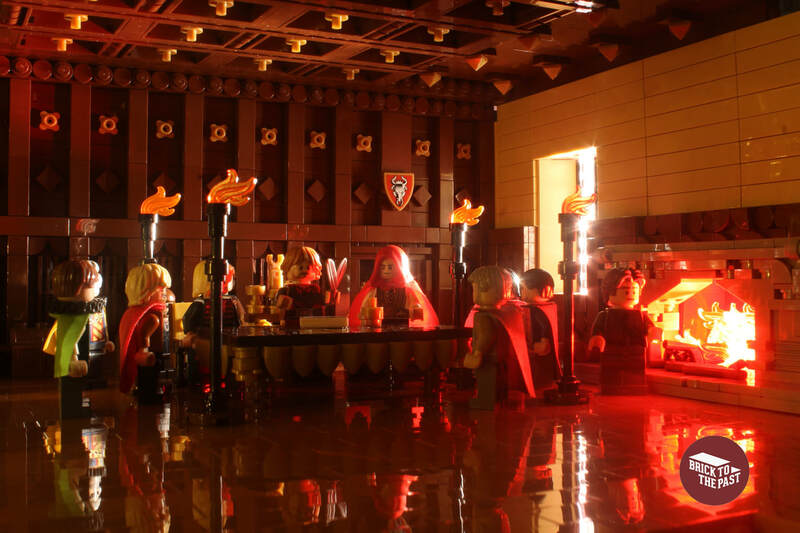 ​This scene was built by Dan Harris as part of a series of models on the Kings and Queens of Scotland. Follow us on Facebook, Twitter and Instagram to see them first. Constantine I, or rather Causantín or Constantín mac Cináeda (in Modern Gaelic: Còiseam mac Choinnich), was a king of the Picts who reigned between 862 and 877. He was the son of Kenneth MacAlpin (Cináed mac Ailpín), and succeeded his uncle Donald I (Domnall mac Ailpín) following the latter's death on 13th April 862. According to the national myth, his father was the first King of Scotland, and so Contantine is Scotland’s third king according to most modern regal lists. Constantine was possibly executed by Vikings on a beach in Fife. Constantine’s reign fell during a period of increased Viking activity across the British Isles. 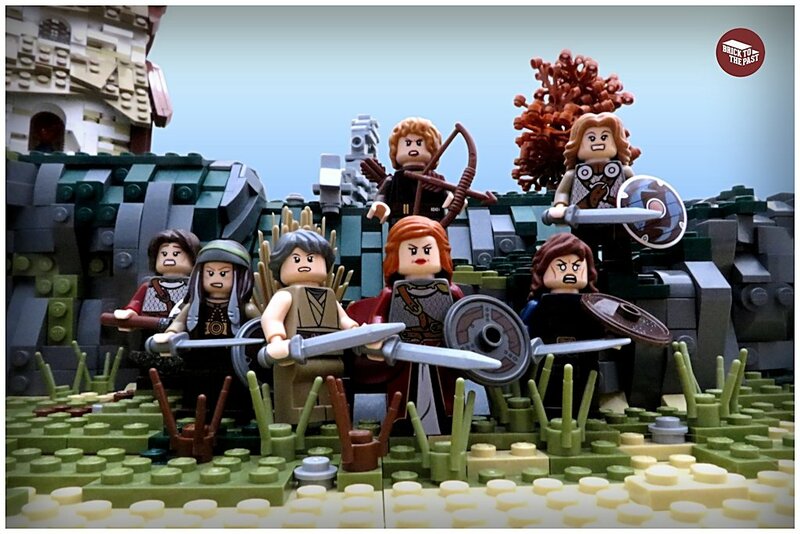 In 865 the Great Heathen Army was moving across England, pillaging, looting and obtaining tribute. Viking armies were also active in Scotland and one of these was led by two brothers named Amlaíb and Auisle. In 866 Amlaíb brought an army to Fortriu, the Pictish Kingdom around present day Morayshire, which is often referred to synonymously with Pictland in general, and obtained tribute and hostages. While Amlaíb and Auisle were in north Britain, the Annals of Ulster record that Áed Findliath, High King of Ireland, and husband of Constantine’s sister, Máel Muire, took advantage of their absence to destroy the longphorts along the northern coasts of Ireland. Amlaíb disappears from Irish annals after his return to Ireland in 871. According to the Chronicle of the Kings of Alba he was killed by Constantine either in 871 or 872, when he returned to Pictland in an attempt to collect further tribute. Late sources of uncertain reliability state that Auisle was killed by Amlaíb in 867 in a dispute over Amlaíb's wife, the daughter of a Cináed (Kenneth). It is unclear whether, if accurate, this woman should be identified as a daughter of Kenneth MacAlpin, and thus Constantine’s sister, or as a daughter of Cináed mac Conaing, king of Brega, a petty Kingdom north of Dublin in Ireland. In 875 a Viking army was once again present in Pictland and a battle, fought near Dollar in Clackmannanshire, resulted in a heavy defeat for the Picts. In 877, shortly after building a new church for Culdees monks at St Andrews, Constantine was captured and executed (or perhaps killed in battle) after defending against Viking raiders. According to some sources, his execution took place on a beach, though the exact loation is not known. He was buried on Iona and was succeeded by his brother Áed. 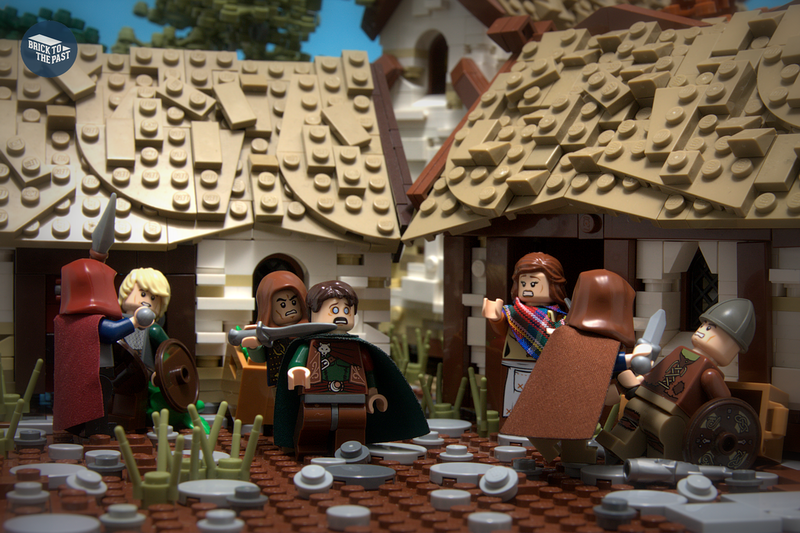 ​These scenes were built by Dan Harris as part of a series of models on the Kings and Queens of Scotland. Follow us on Facebook, Twitter and Instagram to see them first. On this day in 1547 one of England's most intriguing monarchs, Henry VIII, died. At the time of Henry birth on June 28th 1491, he was second in line to the throne. This changed in 1502 with the death of his older brother, Arthur aged 15. Within seven years of his brother's death, his father Henry VII died and so the younger Henry became king, being crowned on 24th June 1509. His reign has gone down in history for many reasons. One of the foremost was his six wives and the resulting split from the Roman Catholic church, which was a consequence of his divorce from his first wife, Catherine of Aragon. The cause for so many wives was his drive to secure the Tudor line, which at this time required a son. His first two marriages did not provide him with a male heir. At the time of his death, he had three successors, Edward, Mary and Elizabeth, all of who would successively take the throne. His successors were to have varying relationships with the Roman Catholic church, which was to have a significant consequence in national and international politics for years to come. During his reign, his split from Rome and lead nationally to the dissolution of the monasteries and played its part in his international wars. As a King, he was known for military achievements (and causalities, such as the loss of the Mary Rose) and his athleticism. It was during one of his sporting activities that his physical decline began following an accident in a jousting tournament in 1536, where he reopened a wound in his leg. It took some ten years for this wound to cause his health to deteriorate to the point where it was life threatening and in August 1546 his youthful vigour was noticeable deserting him. As his health became a concern, his stools and sputum were regularly examined. Furthermore, the doctors at that time believed that the letting of his blood, in accordance with the waxing and waning of the moon could save him. Between August and December, the privy chamber spent increased amounts on his medical treatment to no avail. It was treason to predict the king’s death, though it was obviously imminent by January 1547, and so Henry’s doctors did not summon the courage to break the news to the King. This was not surprising as Henry had ordered numerous executions during his reign (some estimates give as a high an estimate as 72,000), including two of his wives, Anne Boleyn and Catherine Howard. As the month wore on and his health declined, he took Holy Communion and gave his confessions on the 27th. It is also likely that during the evening of the same day he finalised his will, which was witnessed by eleven people (possibly including the ever-present lutenist, Patrec) and in doing so laid the way for Edward his son to become the next monarch, securing the future of the Church of England, for the time being at least. In his room, Henry lay dying, the aroma of the air was heavy, oppressive, with grey amber and musk, smothering the stench of physical decay along with the shadowy gloom created by the window tapestries. With it being the depth of winter, they would have been drawn tightly, keeping the damp out. A great wood fire, continually fed, would have provided him with warmth whilst eliminating all ‘evil vapours’, whilst giving off a stifling fug. It is also possible that the king would have continued to have been attended with potions and plasters by his doctors, in vain, whilst they knew death was inevitable before the rising of another sun. Lying, dying he was not alone, as the death of a monarch during this period was a public affair. In his last hours it was also crucial that Henry had time to prepare his soul and he we was aided by Sir Anthony Denny who warned his master that ‘in man’s judgement, he was not likely to live’ and that he should remember his sins, ‘as becometh every good Christian man to do’. 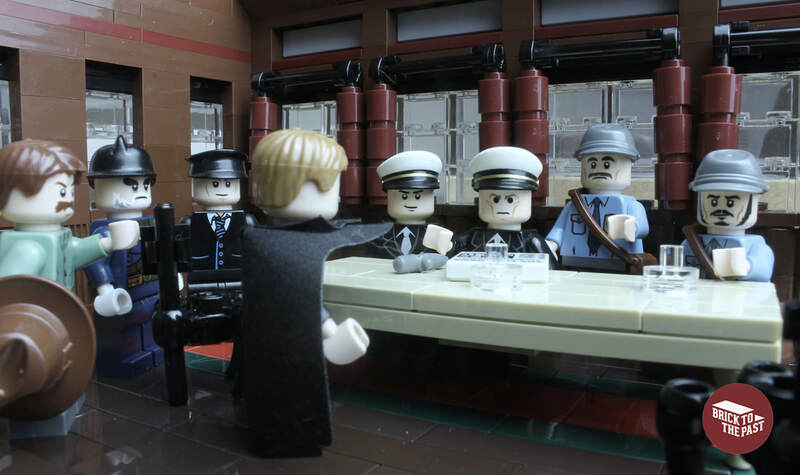 In response, Henry said that he believed that Christ in all His mercy would ‘pardon me all my sins, yea, though they were greater than can be’. He later that evening of the 27th asked for Thomas Cranmer, archbishop of Canterbury, who rode at breakneck speed from Croydon, to be with the king. With Cranmer by his side, the archbishop begged the king to give a sign that he trusted Christ for salvation. In response, Cranmer felt the grip on his hand tighten slightly. And so at around 2 a.m., King Henry VIII left this world. 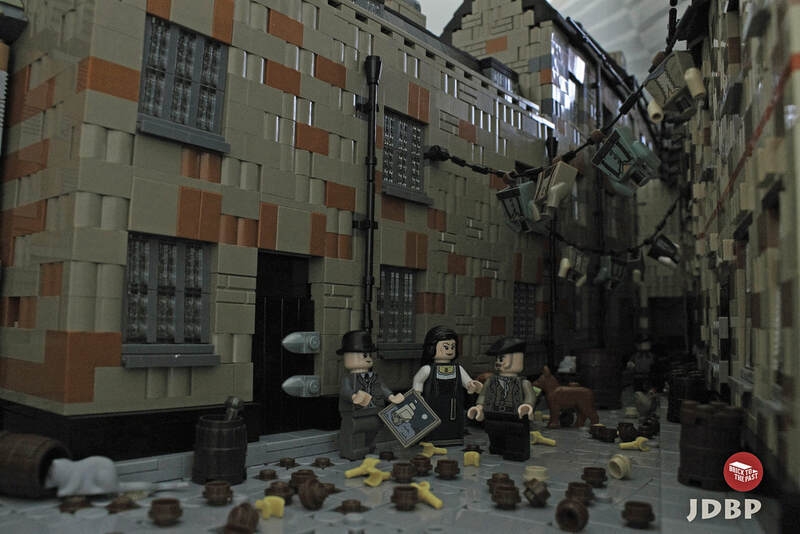 This scene was built by James Pegrum as part of a series of models on British history. 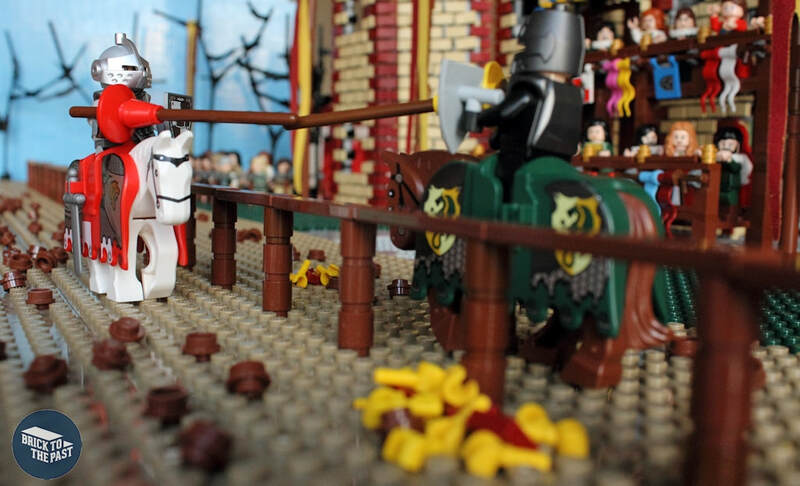 Follow us on Facebook and Twitter to see them first.This scene was built by James Pegrum as part of a series of models on British history. Follow us on Facebook and Twitter to see them first. Happy Christmas! While today is best remembered for the birth of Jesus Christ, and my is this a good celebration, today we would also like to commemorate a lesser known contributor to the festivities! No Christmas dinner is complete without the pulling of crackers (or bon-bon as it's known in Australia - you weirdos! ), invented 1847AD. For this we can thank their inventor - Thomas Smith - who had developed the bon-bon sweet, sold in a twist of paper. In the 1840s the sweets went through slumping sales, so Smith explored a few new promotional ideas. His first was similar to fortune cookies, where he inserted a 'love message' into the wrapper. Later he added the 'crackle' feature after hearing his log fire crackle. To include the banger mechanism he had to enlarge the sweet wrapper. The sweet was later dropped and swapped by a trinket; for example fans, jewelry, and other substantial items. In 1906 Thomas Smith's Crackers were granted their first Royal Warrant in 1906 and the rest, as they say, is history! Octavia Hill was an English social reformer whose main concern was the welfare of the inhabitants of Britain's cities, especially London. Born on December 3rd 1838 she would become one of the 19th centuries most active philanthropists, perhaps most importantly establishing a more enlightened approach to the provision and management of housing for working people, an approach on which most modern housing associations find their model. Octavia was the daughter of James Hill, corn merchant, banker and follower of Owenism. The family's comfortably prosperous life was disrupted by James' financial problems and his subsequent mental collapse. In 1840 he was declared bankrupt. The family settled in a small cottage in Finchley, now a north London suburb, but then a village. Octavia Hill was impressed and moved by Henry Mayhew's London Labour and the London Poor, a book that portrayed the daily lives of slum dwellers. She was also strongly influenced by the theologian, Anglican priest and social reformer F. D. Maurice, who was a family friend. A co-operative guild providing employment for 'distressed gentlewomen' accepted Hill for training in glass-painting when she was 13. When the work of the guild was expanded to provide work in toy-making for 'ragged school children', she was invited, at the age of 14, to take charge of the workroom. 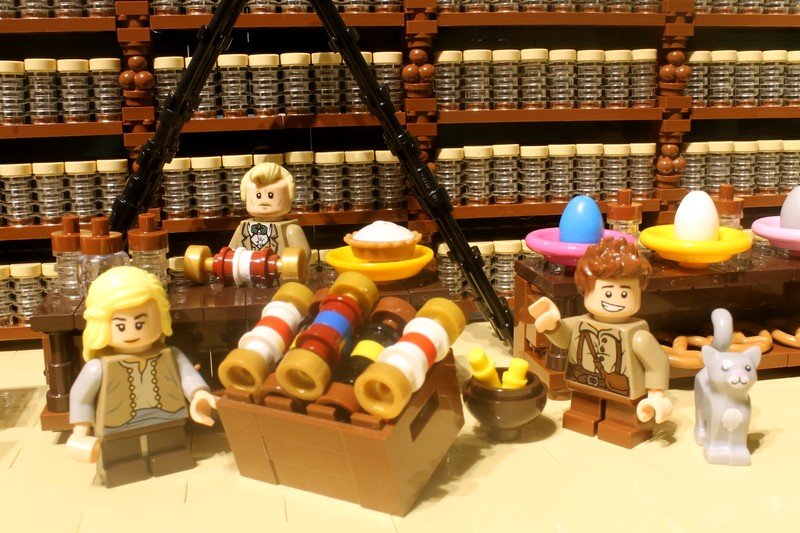 She was deeply aware of the dreadful living conditions of the children in her charge at the guild. Since the early 1830s some members of Parliament and other social reformers had been attempting to improve the condition of housing for the working poor. 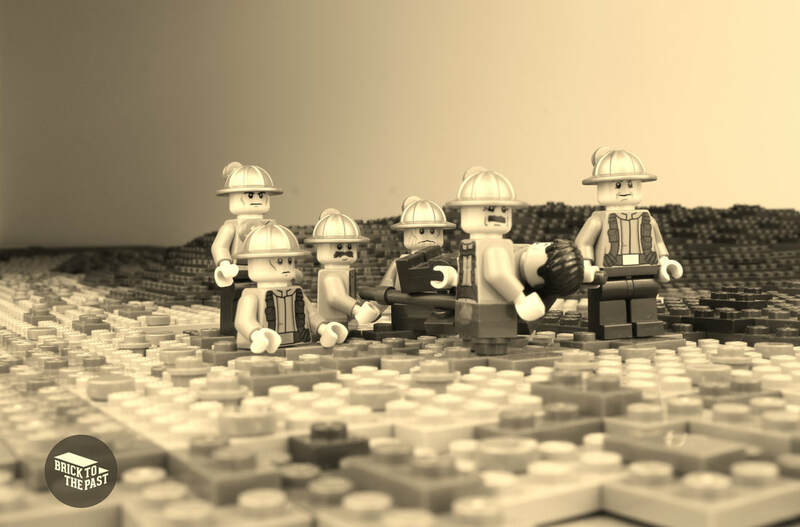 From Hill's point of view most attempts had failed the poorest members of the working class, the unskilled labourers. She found that their landlords routinely ignored their obligations towards their tenants, and that the tenants were too ignorant and oppressed to better themselves. She tried to find new homes for her charges, but there was a severe shortage of available property, and Hill decided that her only solution was to become a landlord herself. In 1853 Hill began working for John Ruskin as a copyist and being impressed with her work and drive, in 1865 he acquired for £750 the leases of three cottages of six rooms each in Paradise Place, Marylebone. Ruskin placed these houses, which were "in a dreadful state of dirt and neglect", under Hill's management. He told her that investors might be attracted to such schemes if a 5% annual return could be secured. In 1866 Ruskin acquired the freehold of five more houses for Hill to manage in Freshwater Place, Marylebone. Once the houses were repaired and improved they were let to those on intermittent and low incomes. The 5% annual was achieved and any excess was invested back into the properties. In consequence of her prudent management, Hill was able to attract new backers, and by 1874 she had 15 housing schemes with around 3,000 tenants. Writing in 1883, Andrew Mearns described the homes of the poor as "pestilential human rookeries". In 1886 Hill founded the Horace Street Trust, which became the model for many subsequent housing associations, and has since developed into the present-day Octavia Housing association. in 1889 Hill formed the first independent Cadet Battalion in London, a concept which rapidly spread, becoming the modern Army Cadets, with around 40,000 members today. She felt strongly that the military context would socialise urban youths struggling for direction. Another of Hill's concerns was the availability of open spaces for poor people. She campaigned against development on existing suburban woodlands and helped to save London's Hampstead Heath and Parliament Hill Fields from being built on. In 1896 she was one of the three founders of the National Trust, set up to preserve places of historic interest or natural beauty for the enjoyment of the British public. She died on August 13th 1912 in Marylebone. These scenes were built by James Pegrum as part of our model London 1875: Capital of an Empire. Follow us on Facebook, Twitter and Instagram to see all of our models first. One for the Diary: Oban Winter Bricks! 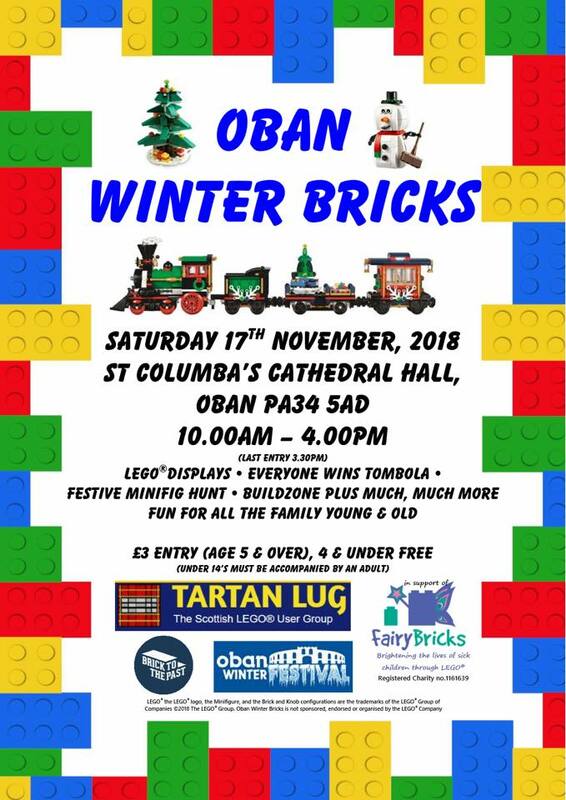 ​On November 17th we will be at Oban Winter Bricks! The event will be on for one day at St. Columba's Cathedral Hall as part of Oban's Winter Festival. Entry is just £3 and under fours go free! A great deal all round! 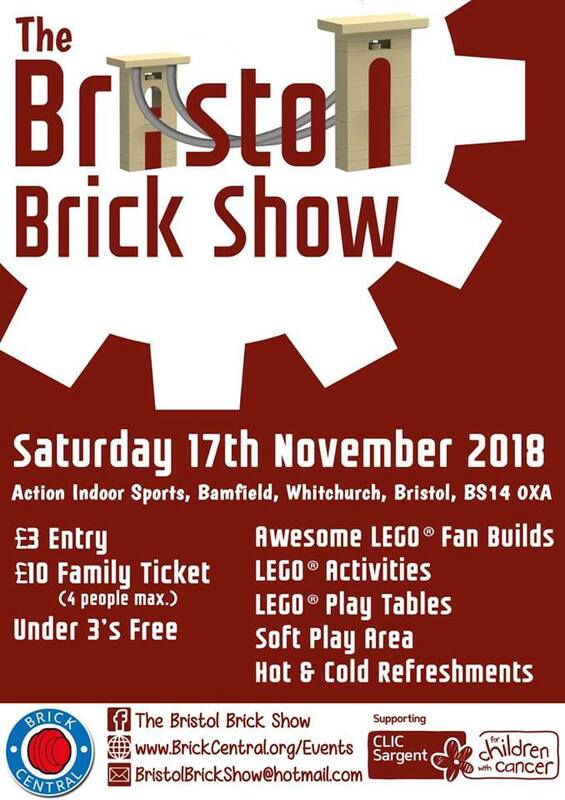 ​On November 17th we will be at The Bristol Brick Show! The event will be on for one day at Action Indoor Sports, Bamfield. Entry is just £3 and under threes go free! A great deal all round! OK, we admit that we are reporting this one extremely late by our usual standards! However, sometimes life just gets in the way! 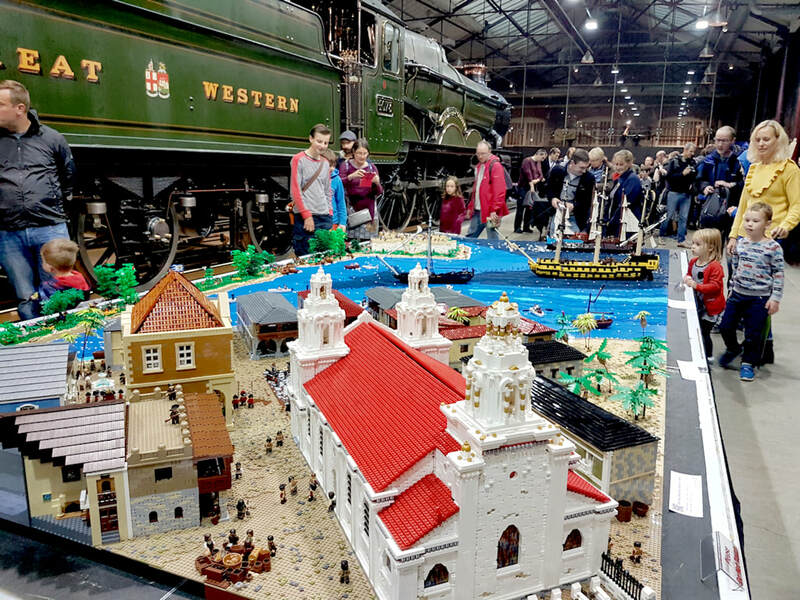 Anyway, what we have here is a quick report on our time at the Great Western Brick Show, which took place on the 6th and 7th October. We were there with our brand new model Henry Morgan: Welsh Raider of the Spanish Main. The model delves into the murky world of the 17th century buccaneers who terrorized the Caribbean in the name of the English crown. 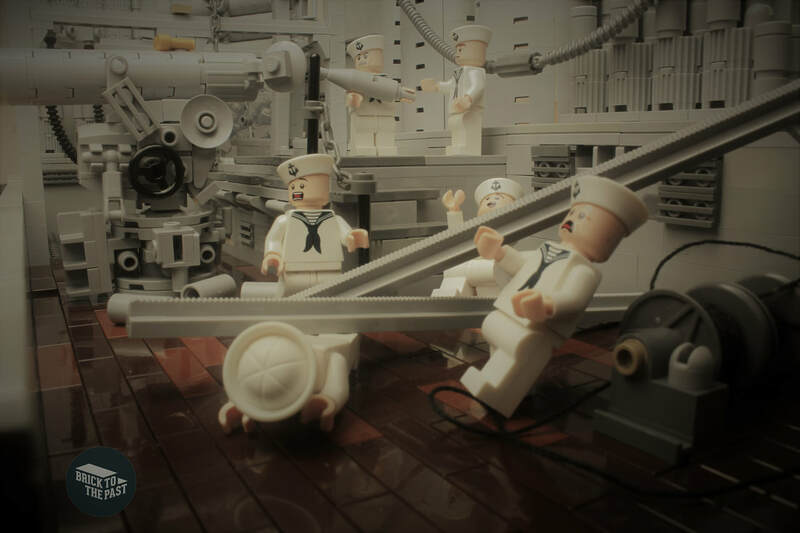 The model features lots of ships, a fort and plenty of colonial architecture. This is the first model we've built that isn't based on somewhere in the UK, so research proved an interesting challenge We have since been working diligently on getting our photos together and making not one but two separate videos! The show saw thousands of visitors descend on the Museum of the Great Western Railway and featured an extremely strong showing of models and activities. As always we had an absolutely great time and look forward to next year!